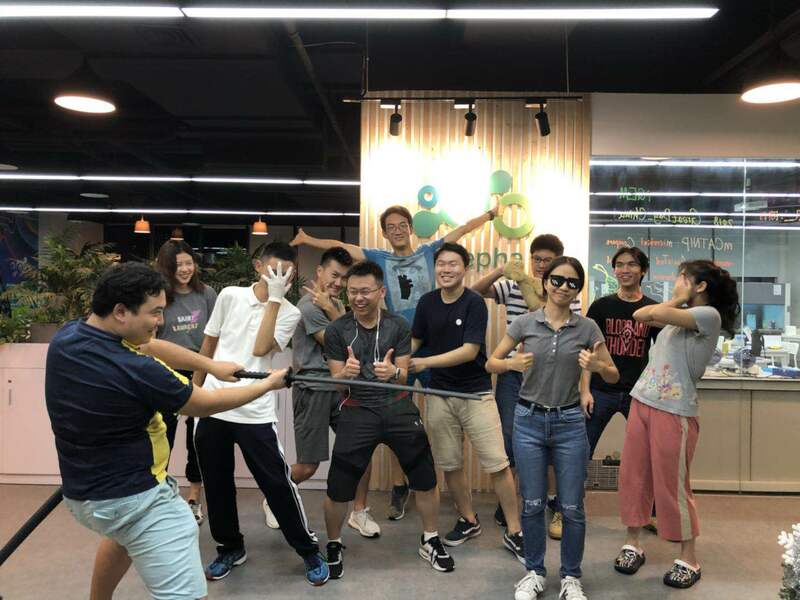 Like its name, GreatBay_China 2018 consists of a great variety of members: 13 students from 7 different high schools, 1 instructor, 5 advisors and 2 PIs. The team is a treasury of talented and lovely people. We have bright brains with innovative ideas. We are lucky to invite competent and outstanding seniors and experts who support and guide us in the light of discovery. We are a bunch of enthusiastic people who stay up late doing labs. Meet them here! 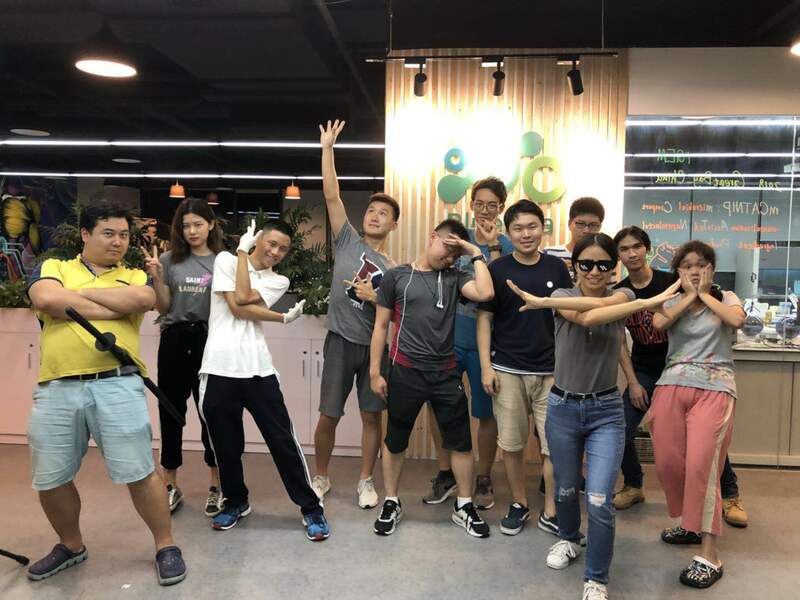 Some of us have a few words to say after the wonderful iGEM 2018 journey! You can read them at the bottom of the page. Hello world! I’m Alexis, a student from Shenzhen College of International Education, blue-haired, not very humorous. This is my second year participating in iGEM but the first time as a team leader. 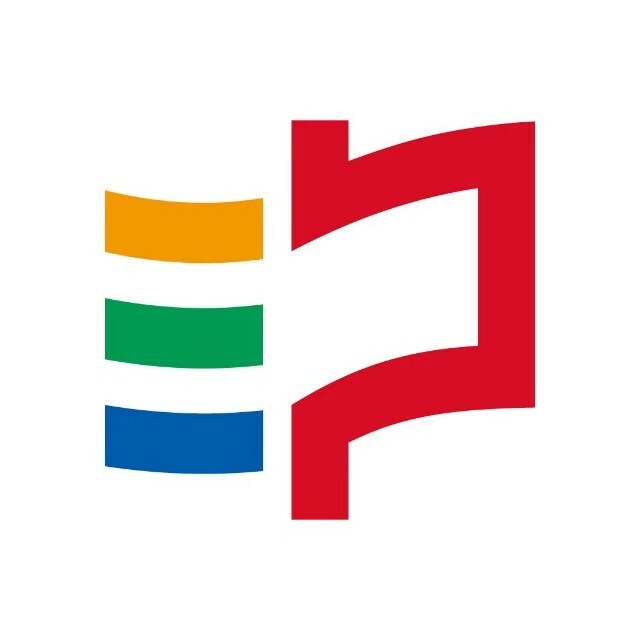 I am involved in a lot of parts of mCATNIP, but mainly I focus on project design and team management. 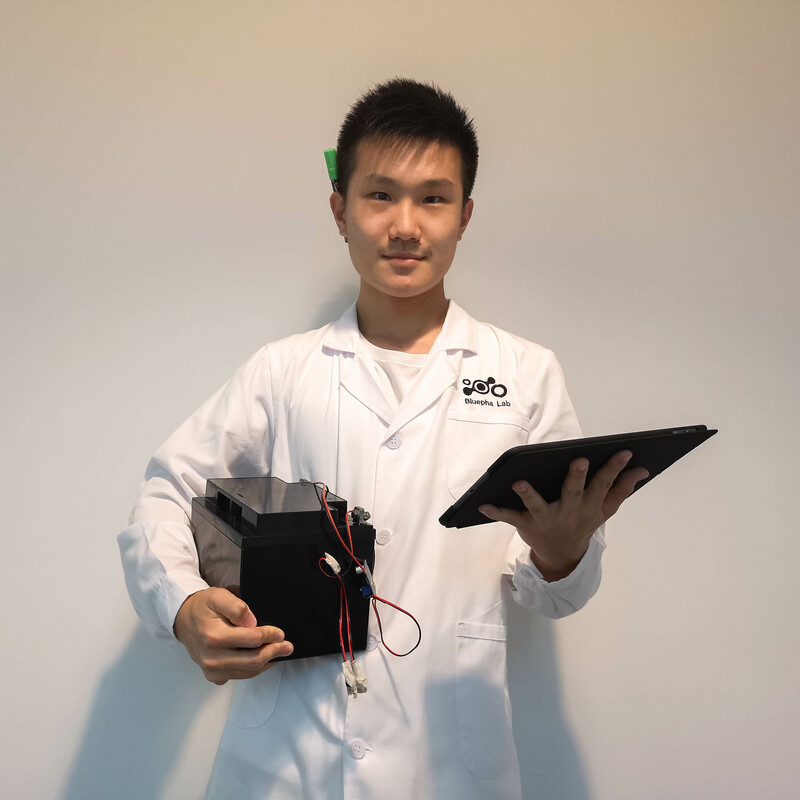 Speaking as a high school student, this experience with iGEM and synbio is simply fascinating: after being overwhelmed by the existing delicate rational designs, we get to create our own designs and build them from pieces. But it’s a huge challenge towards my resilience to be honest, especially when the transformation keeps failing and colony PCR shows no correct results. But still, I would listen to Paciencia y Fe by Lin-Manuel Miranda and continue working. Beyond iGEM, I’m a fan of musical theater, an equestrian enthusiast, and a cheese lover. You are looking at the photo of someone who is suffering through her second year of iGEM but secretly enjoying it! Her work involved wet lab, HP, safety and wiki last year; this year her duty only increases. 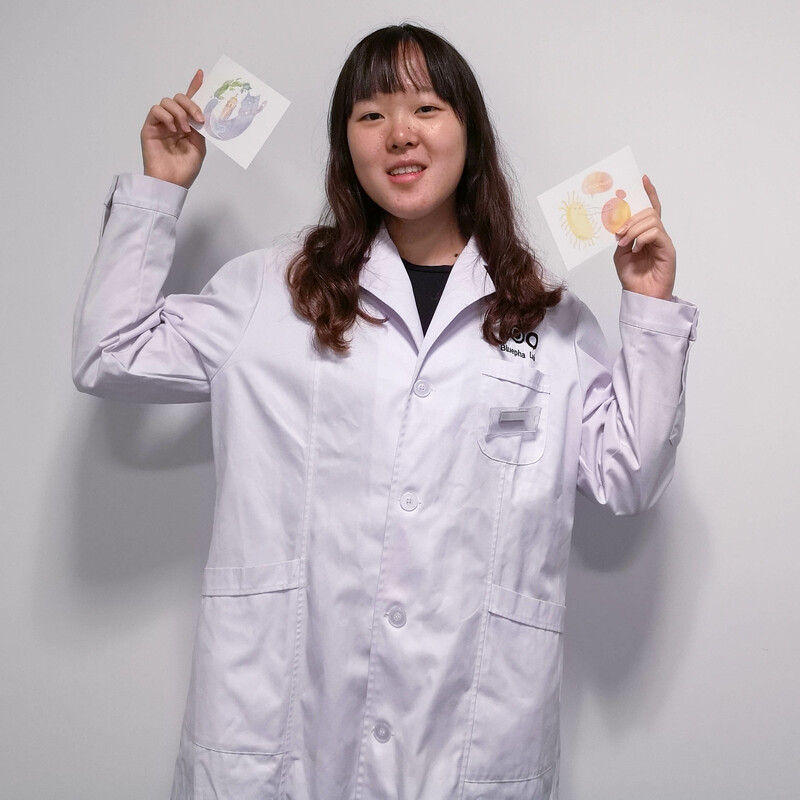 She is a neutral-chaotic person/team leader that has tried all kinds of work in iGEM and accumulated many skills during the process. She loves game music, reptiles, yogurt, and cool weather. She wants to study computational in future. And HAIL GREATBAY_CHINA! Human practice, and in charge!? Oh, you can never know what trouble she find for her incapable self. Project, research ways to get more products. Modeling, when she wrote this, she did’t even know whether she could finish it. Wiki, just that iGEM server can be excruciatingly slow sometimes. 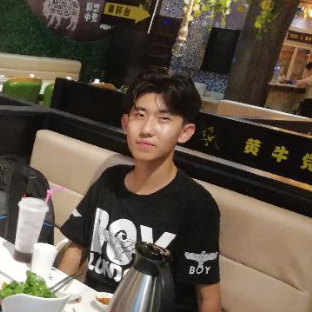 I‘m Sean, one of the team leaders of GreatBay_China, the Knight of night, and the owner of Dark Circles. 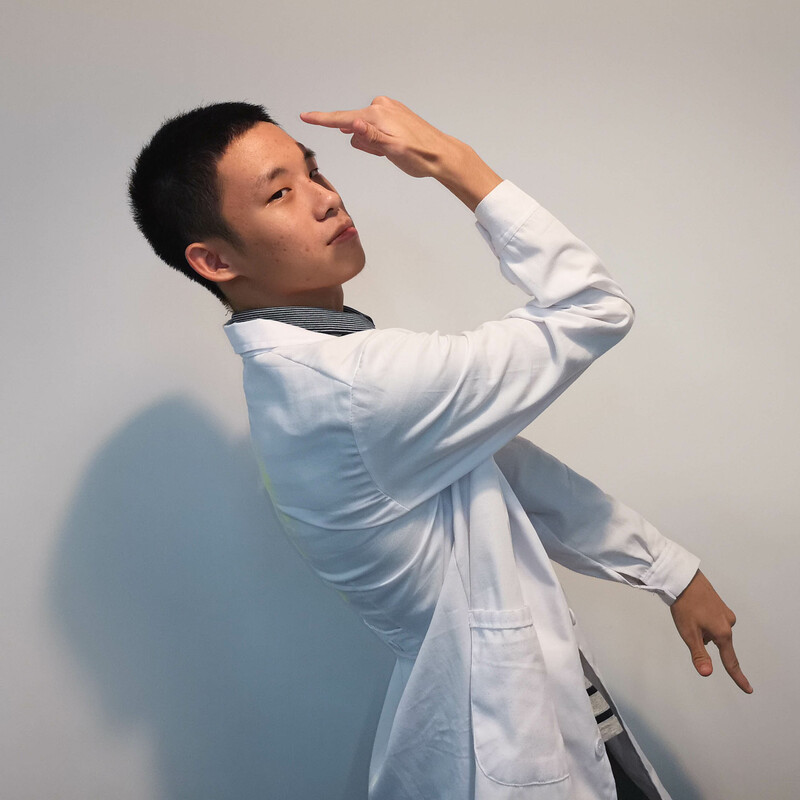 In the gap year after I graduated from Shenzhen High School of Science, I decided to take part in the iGEM as a High School student and figure out what major I would like to study before I go to the university. 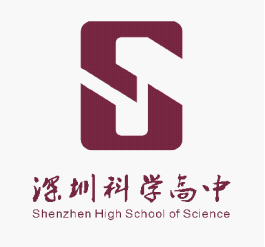 The motto of Shenzhen High School of Science says: "the future isn't the place we aim to go but the place we want to build. 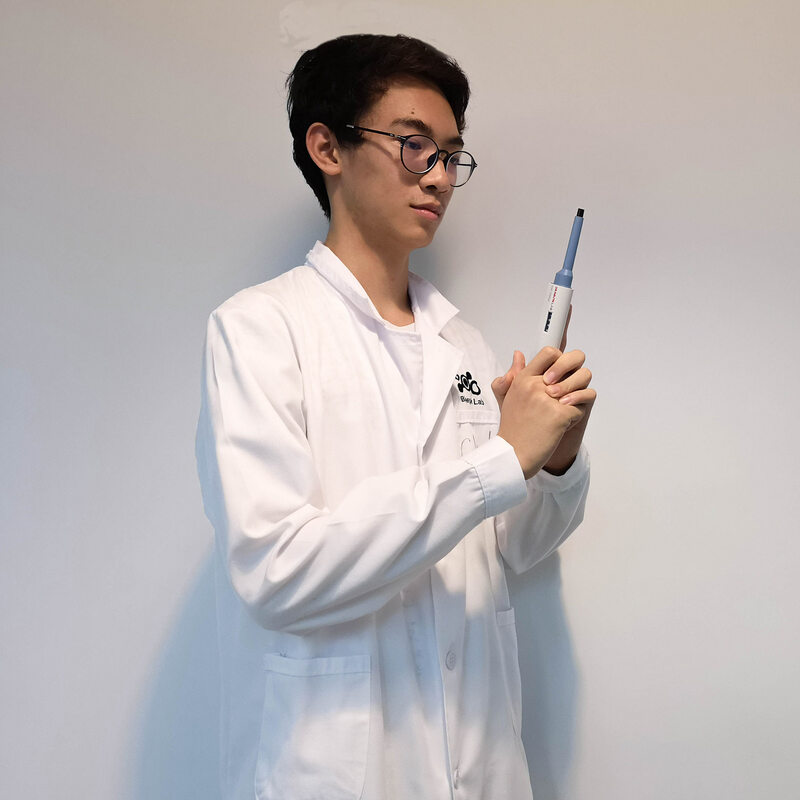 ", as a student who inherits this school spirit, I joined in this completely New formed team and learn how to run an iGEM team effectively with my extraordinary partners. Hi all! 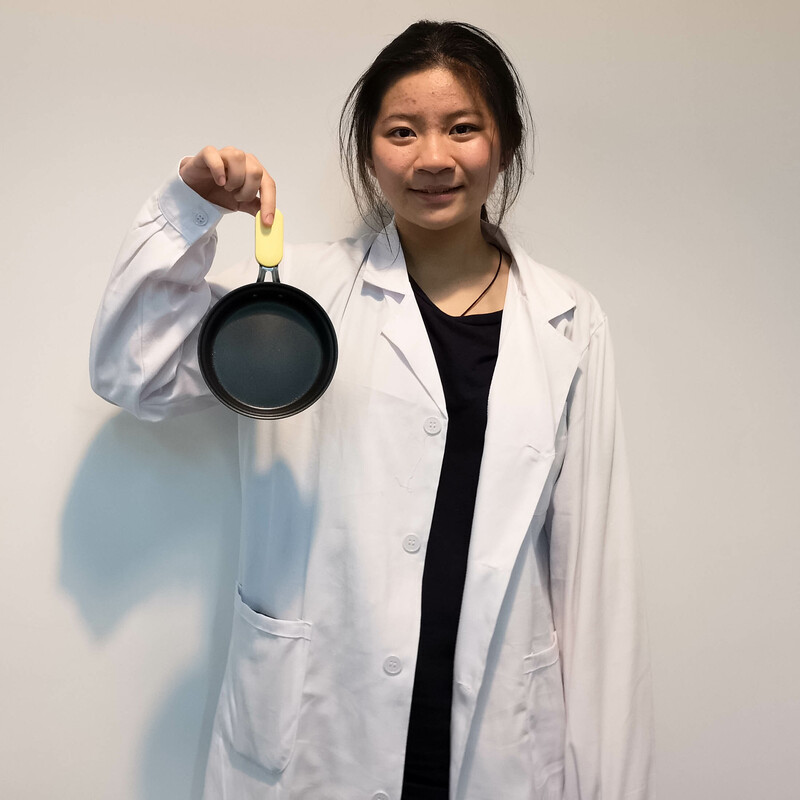 Here is Tara, from Shenzhen college of International education, who surely aim to be a biology person. As a first-year iGEMer, my main job in the lab is to cast as primer dimer, so our PCR will be well-off. For sure, it’s just my personal belief, not a Chinese custom. To me, iGEM is not only exploring the whole unknown field, but also a training of physical endurance to demanding work. Anyway, l think l should cut my self-intro short since l don’t have any unique talent or interest. Thank you all!!! Hanging around in Lab and meddling with almost every experiment. Babysitting E.coli and Yeast, though sometimes l have to lyse them. Main Chief——Today’s recommendation ：fried sausages, bacon or eggs. 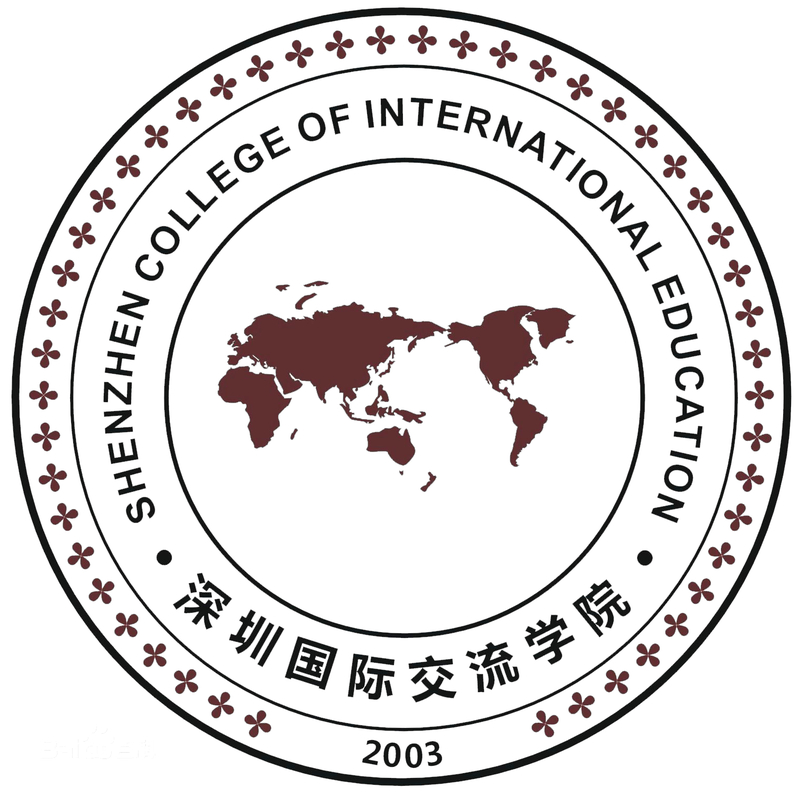 Hey guys I’m Leo from Shenzhen College of International Education. Being keen on Molecular Biology I participated in iGEM and found the lab work so disastrous that I would surely knee in front of the cultivator and beg the E.coli to accept our plasmid and survive if this will help. Obviously, it doesn’t. I love tarot a lot and predicts on our PCR results often and the only truth I foresee is that science contradicts the unreliable belief. Participating iGEM, to me, is a body and mental building tour that involves an endless number of deadlines and lab nights. It is also an exhilarating adventure with the accompany with my friends. Hooray to the all-night-PCR and long live our bioparts!!! Bring the team with laughter!! Not a man who history shall remember, but a member that the team cannot exist without. He is the General Ou's Right Hand Man, Big Commander's First Colonel, Prime Minister's First Secretary. When in need, he acts in the role of artistic designer, video maker, and even take away delivery. You can say he is versatile, but standing in his position requires more --- guts, persistence, and willpower. Under the pressure of the Triple Leaders, he survives with everlasting faith and everlasting hair and everlasting dark circles under eyes. 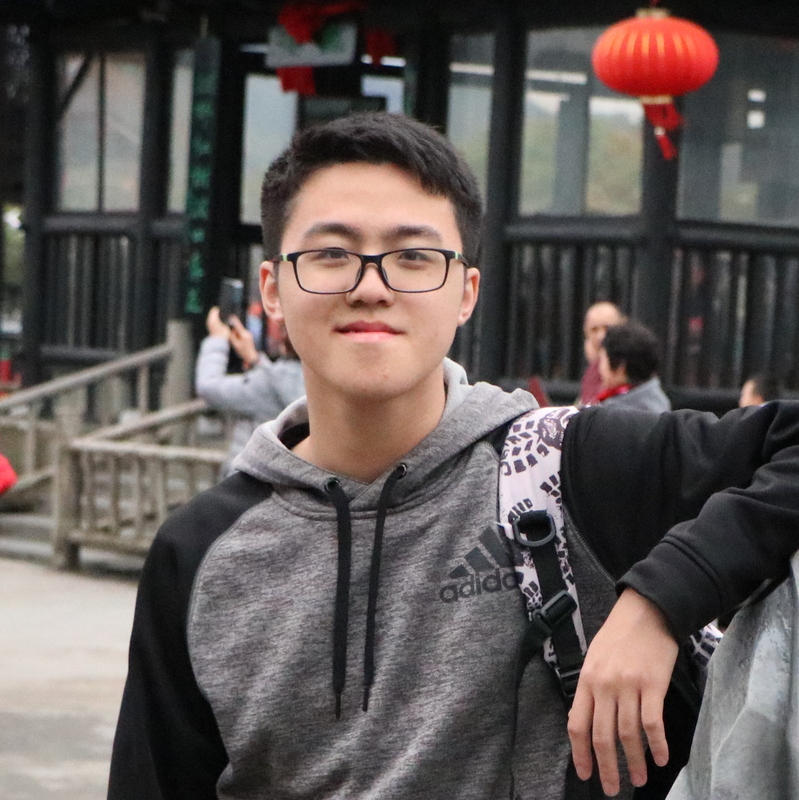 So this is Charles, a high school student from Shenzhen College of International Education, an intellectually curious learner, a frenetic nerd about science, and a coding amateur who struggles with coding languages but oddly becomes one of the members for wiki construction. 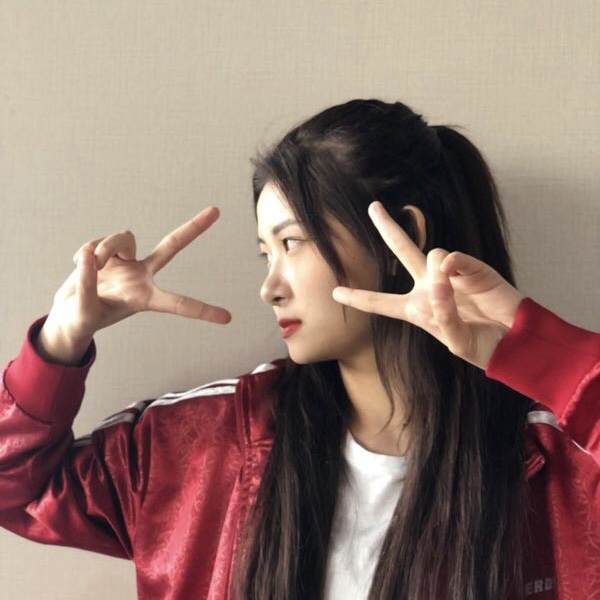 My hobbies include hiking, swimming, biking, reading, writing, music, video-making, watching musicals……I like to share stories and make friends! Cheers! Spent most of my summer and after-school time in lab, playing and nursing E.coli and yeasts -- Dancing or crying in front of the gel photography machine. My name is Rocky. I’m a student, I’m a high school student. 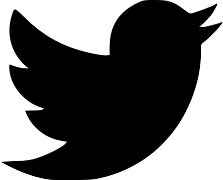 I’m an iGEMer who fulfills people’s fantasies, their deep dark fantasies. I was studying macroscopic biology, you know, paleontology and zoology. But after seeing how significant molecular biology is, I thought I had enough, so I stepped into the bio-lab. I was kind of a dumb boy of my life, tying myself aside my desk and creating fantasies. But now I’m doing that in the lab. Doing experiment with E. coli and S. cerevisiae. 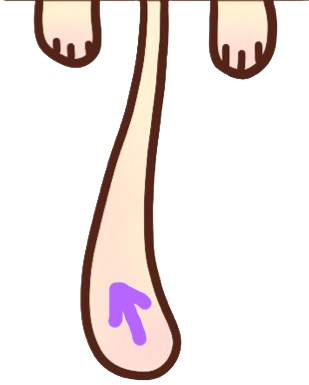 More specifically, participating in plasmid construction, promoter characterization and fermentation. Trying my best to be a social-butterfly in HP. Planning, directing and fulfilling the ‘HP Documentary’. Everything is distinctive here, everything is challenging. Everything is innovative here, everything is inspiring. 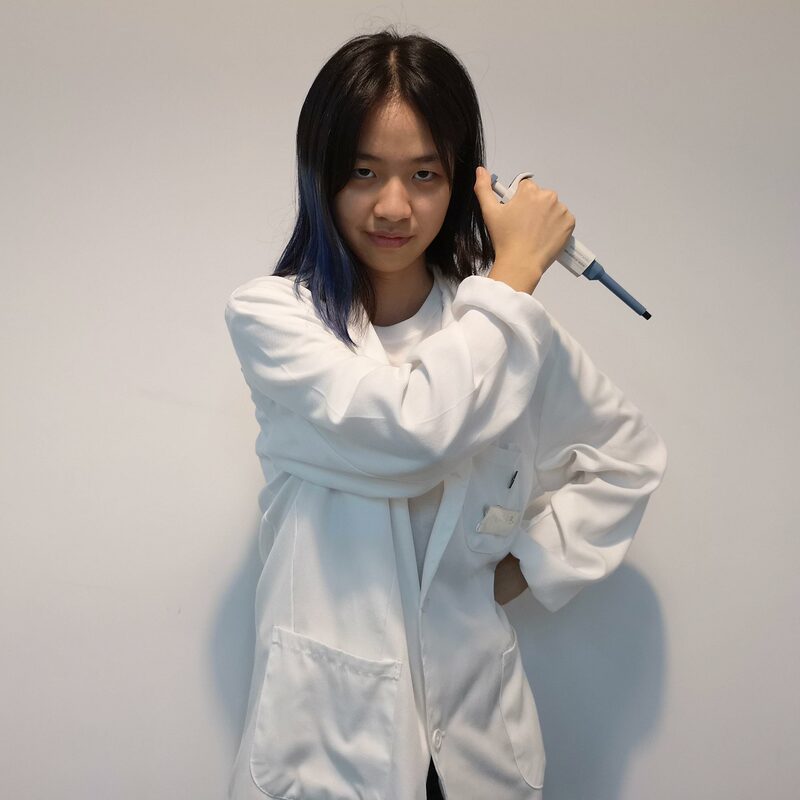 iGEM gives me joy, skills, and experience, but it also gives me stress, barriers and hardship. I come here to enjoy, to imagine, but also to learn and improve. OK! Enough nonsense! 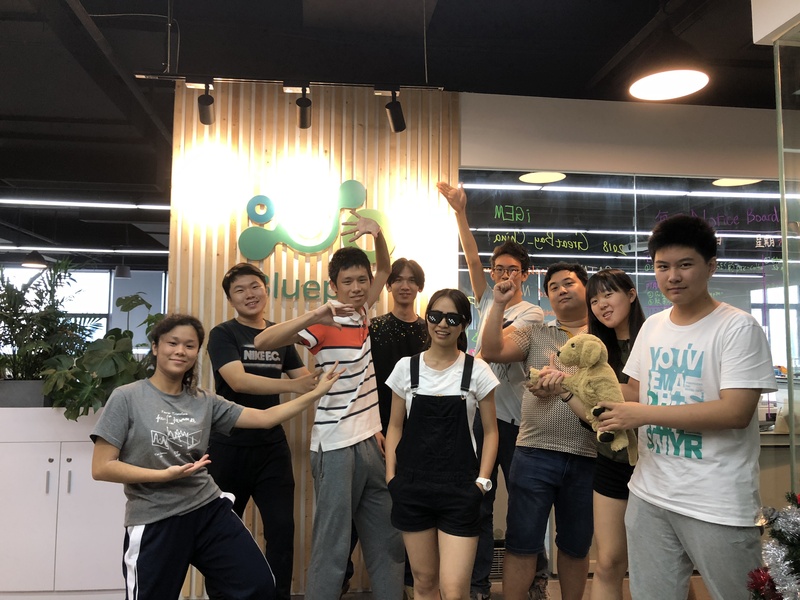 I am Eden, an A1 student from Shenzhen College of International Education, who is currently fully occupied by study, iGEM, and study plus iGEM --- It has been three weeks since I went to the gym last time, incredible! Sport is a main part of my life, it can release my systemic exhaustion and depression at any time. I am not social, but making friends and cooperating with team members are truly fascinating. Hi, my name is Wade and this the first year of participating iGEM. Currently, I am an IB student in Shenzhen Senior High School. Since the painful memory of making LB medium three times and fails four times do not fade and for the sake of the whole lab, now I am trying to help the team outside the lab including modeling and doing human practice. I also play the role of bio-safety reminder in the team. Anyway, hope to see your guys in Boston. Hi! 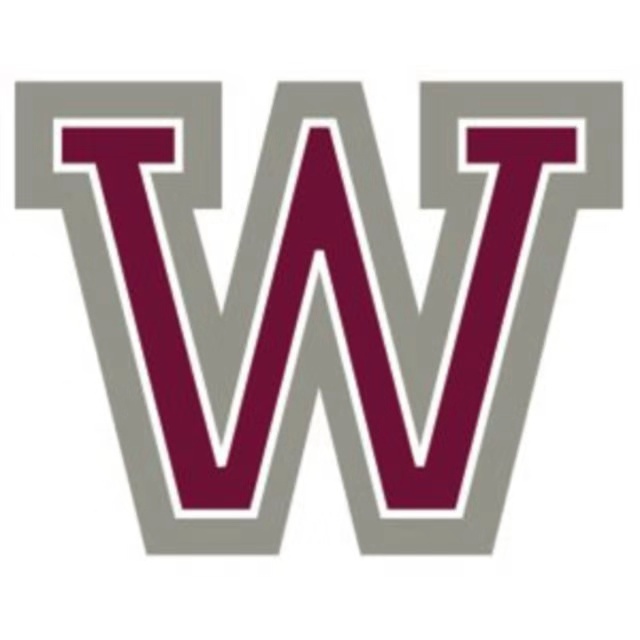 (whoever is now surfing this site) My name is Marie Wei, a sophomore who is studying abroad in Worcester Academy, Worcester, Massachusetts, US. I am a very easy-going person with many different hobbies and specialties (in various levels of course). In my leisure time, I would enjoy myself by reading, writing stories, drawing, playing instruments, working out and so on. 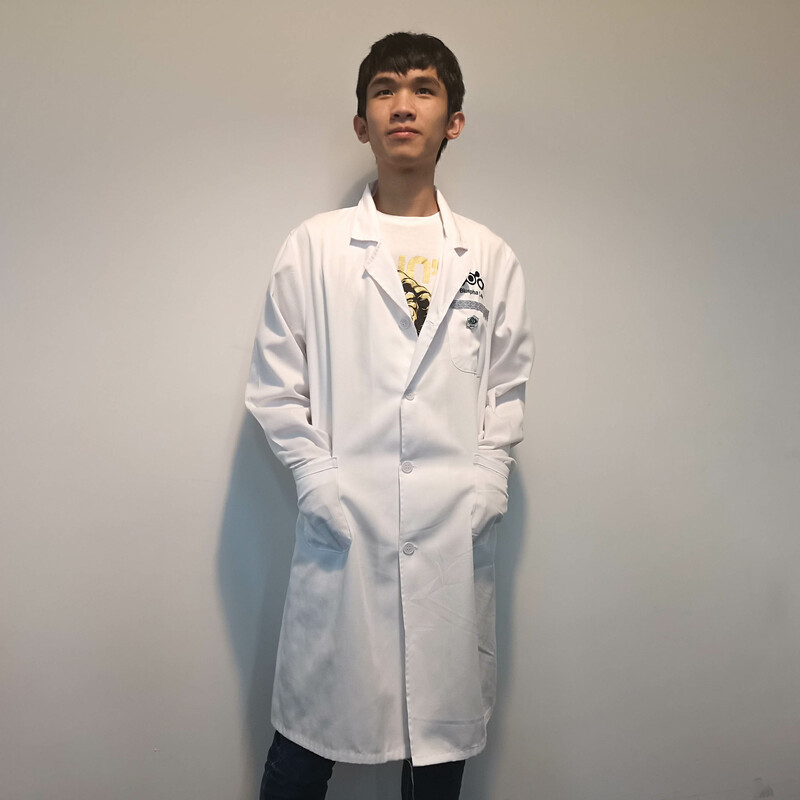 Attending iGEM this year and becoming a member of GreatBay_China is one of the best things that I have ever done in my life. I am the kind of person who always feels enthusiastic about every decision in life. By attending iGEM, I have received an absolutely incredible experience dealing with synthetic biology. 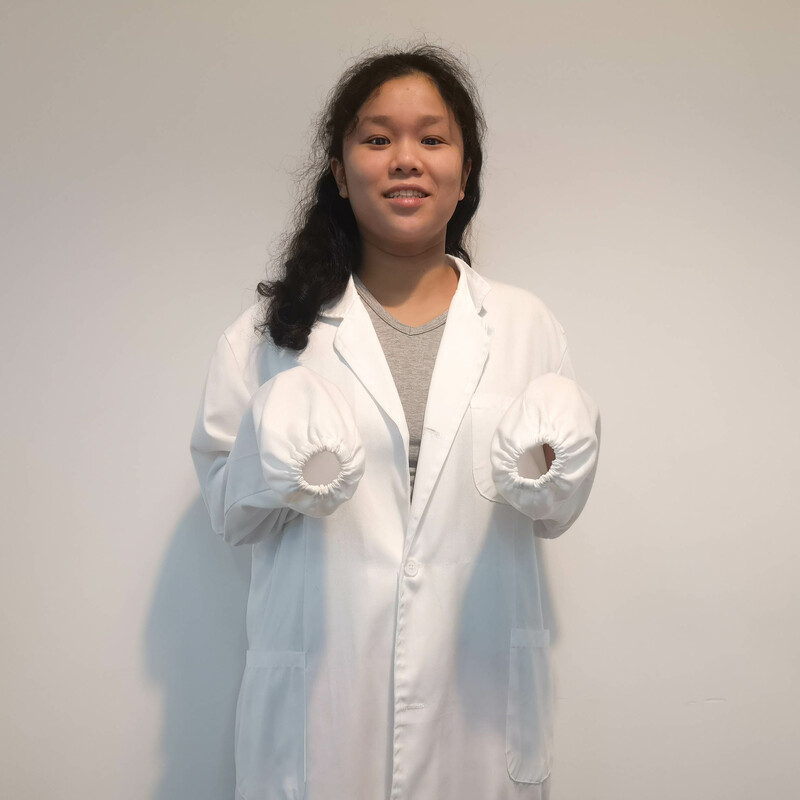 Biology has always been one of my passions and interests, by attending iGEM, the only thing I can say about it would be: I am IN LOVE with this subject—totally, genuinely, in LOVE. During this whole summer, I had great fun with the team, discovered myself and those little tubes more in the lab, and really, generated a large amount of LOVE for biology. Really. The best experience ever. Hello, everyone. I studied at the third high school attached to Beijing Normal University. I usually like to cook and paint. 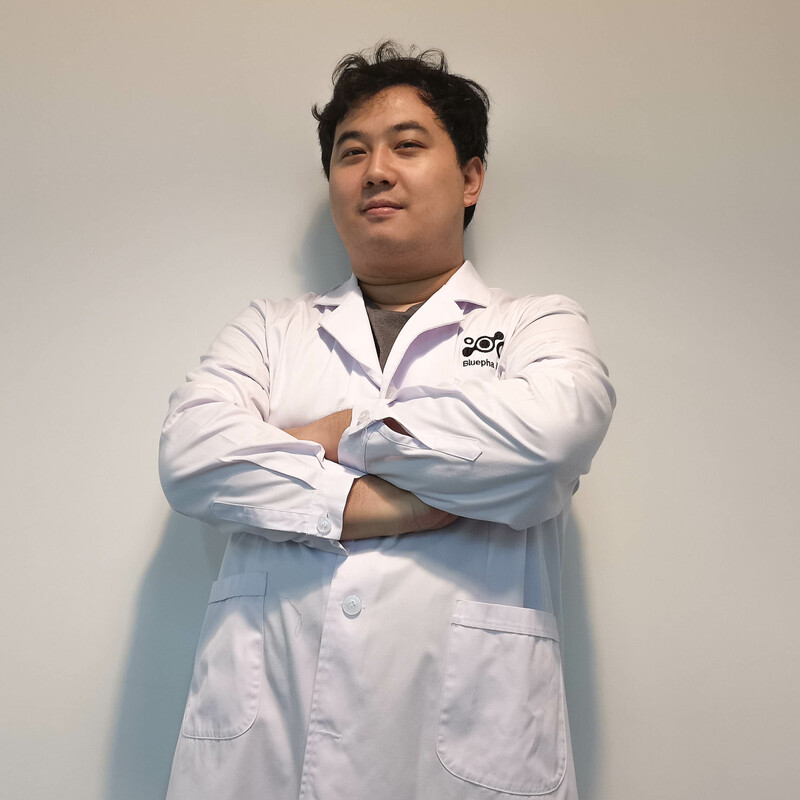 With the help of the bluepha lab, I have developed an interest in synthetic biology and have the privilege of forming an excellent team with everyone. Although I still have a lot to learn, I will do my best to contribute to the team. 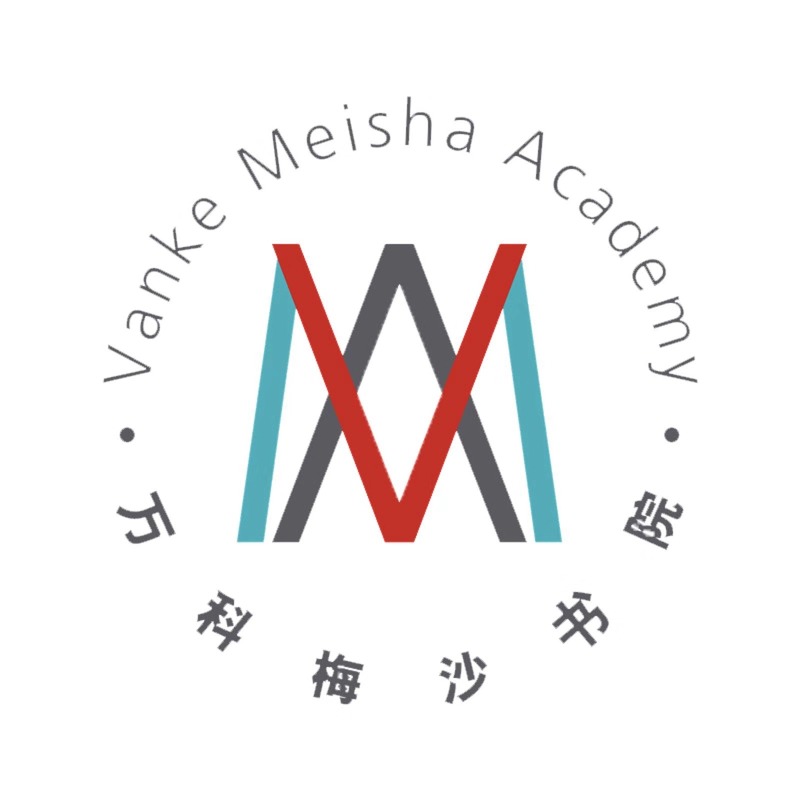 I’m Katrina from Shenzhen Vanke Meisha Academy. I am a senior student majoring in biology and chemistry. 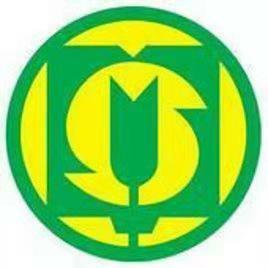 IGEM, a competition which requires a lot of teamwork and participation， allows me to know my advantages and disadvantages. This will benefit my whole life. And I will definitely remember the time working with my friends. I am ready to meet many new friends! 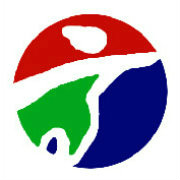 Boxiang is a Research and development director of educational product of Bluepha Co.Ltd. 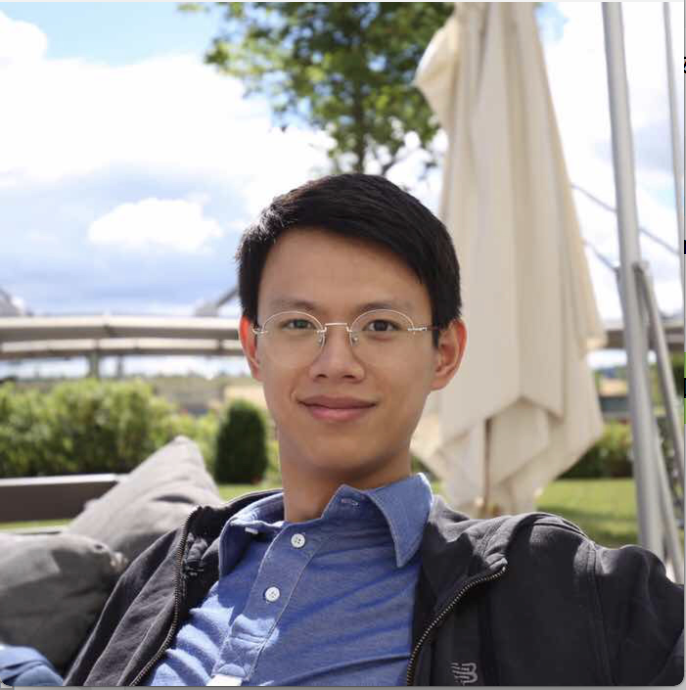 ; an experienced iGEMer who participated and leaded 7 iGEM competitions; and an unassailable avatar of the team. 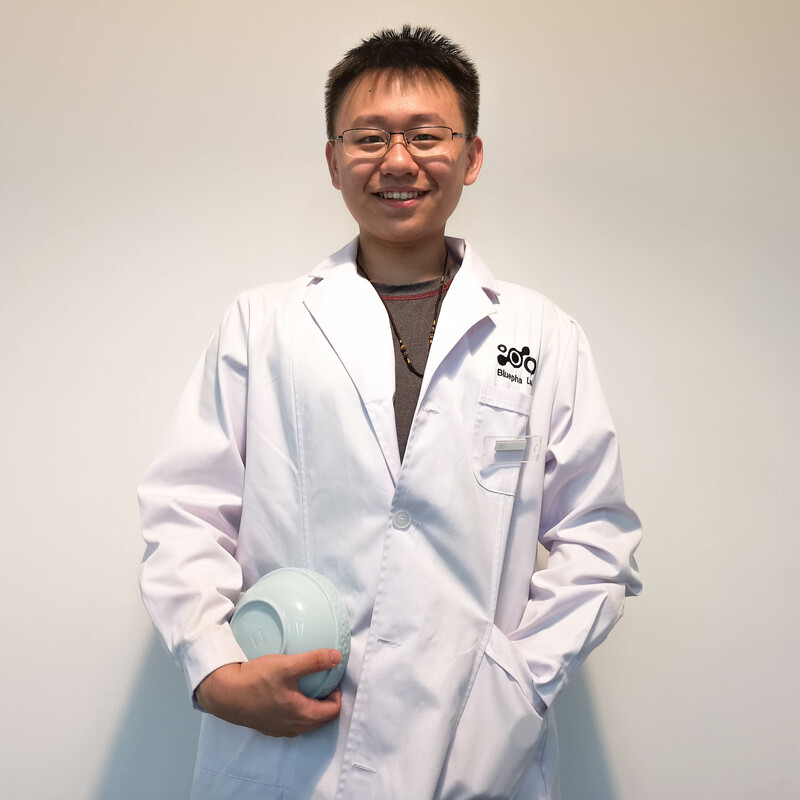 Yiming Dong is a PHD of Beijing University Synthetic Biology. 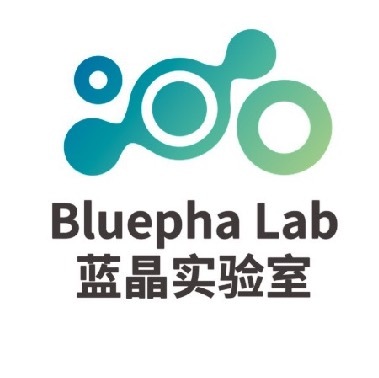 Xuanyu Zhao is a research and development instructor of educational product of Bluepha Co.Ltd. 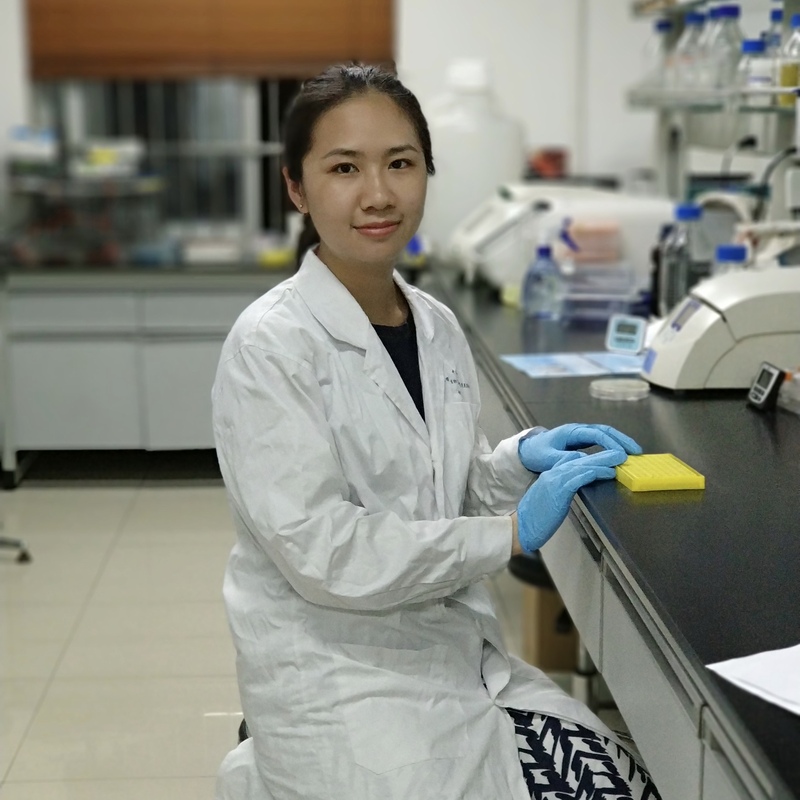 She majors on toxin-antitoxin system in microbial in graduate degree, now an advisor of team GBC. 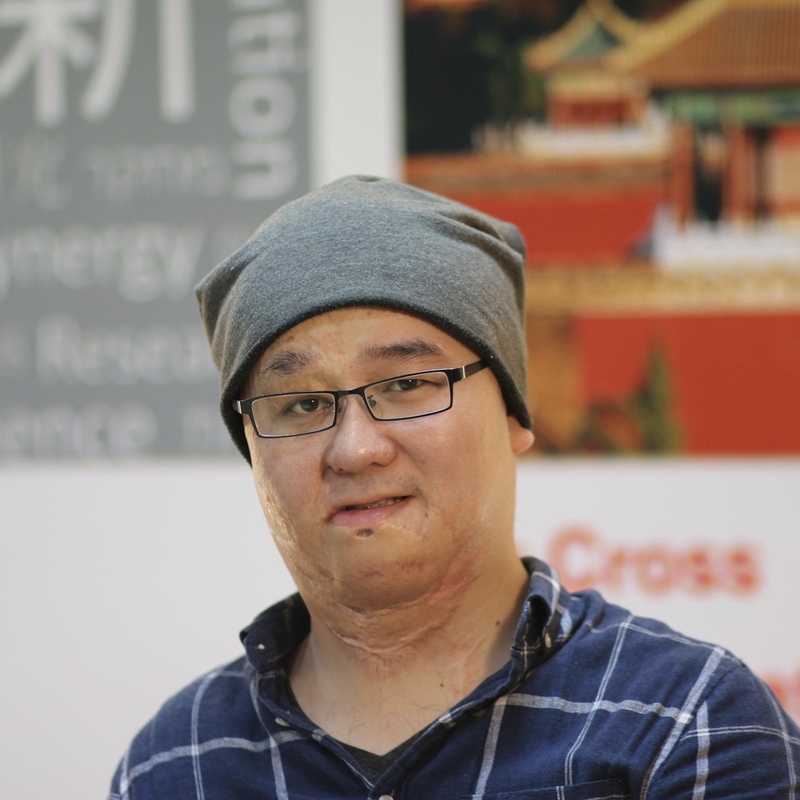 Li Yu is a speculative designer, creative technologist and interdisciplinary researcher. 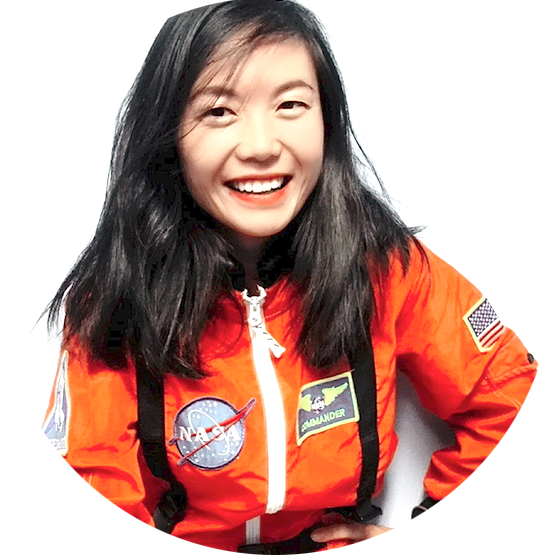 Her researches the burgeoning area of advanced science and technology and speculative design. She uses design as a method of investigation, experimenting with emerging technologies and its possible implementation. Her works translate thoughts experiments and fictional narratives into tangible forms, ignite discussion on our current society and its future. She collaborates with scientists and engineers from different countries and disciplines. 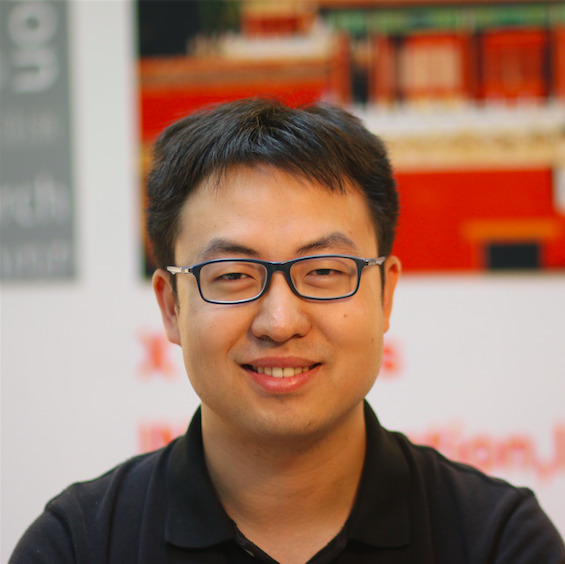 Xuan Wang is a former iGEM team leader of BNU_China 2014, a current PhD candidate in Tsinghua University and a part-time employee of Bluepha. He wants to do several beautiful science projects and to teach several potential students. 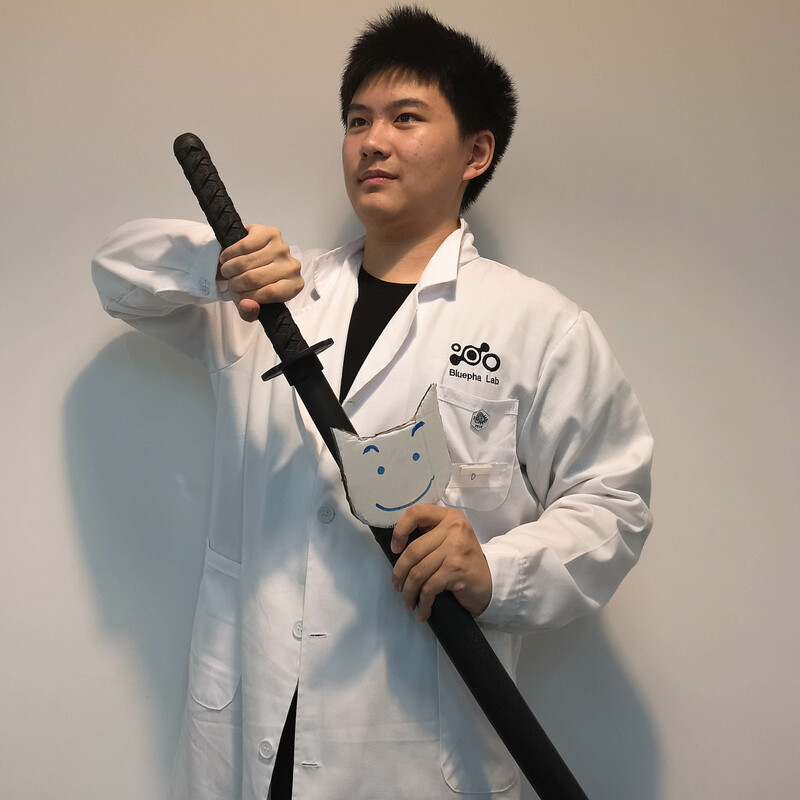 Shan Jiang is a High schooler, goalkeeper, table tennis player, violinist, CCiC executive committee member, synthetic biology fundamentalist, leader of iGEM team RDFZ 2018 and SIAT-SCIE 2017. A PhD candidate at Imperial College London. Loves food, wine and synbio. My awesome teammates! I love you all! Thank you for making this year so meaningful. It has been an honour. Eden: I got nothing to say. It's crazy indeed. It's also legendary. I would like to thank all my teammates, teachers, instructors, friends, people who have gave me courage to overcome depression, and most importantly my parents. Without you, all of you, I couldn't have attained all these fantastic achievements today. 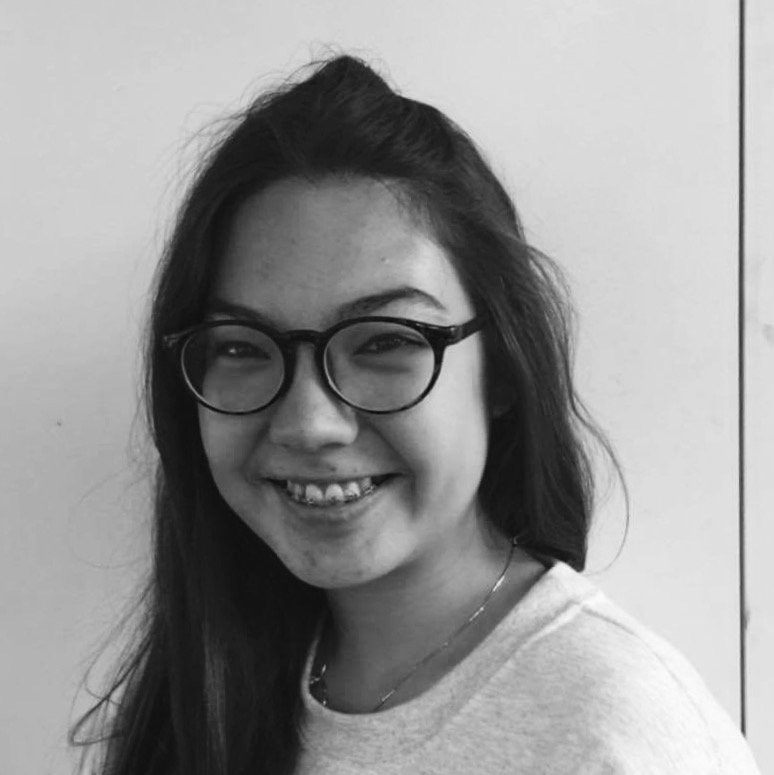 Lucinda: iGEM forces me to tackle challenges, communicate with my friends and families, and deal with mental workload by focusing on one thing at a time with a reasonable schedule. It was hard, but with passion and collaboration we persisted. Thank you to y'all! 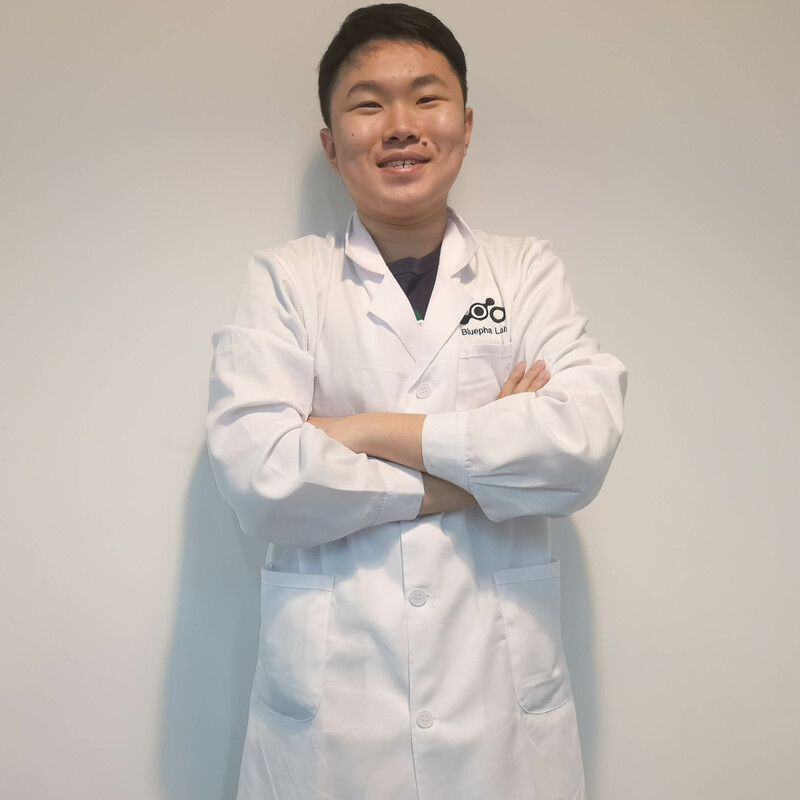 Charles: iGEM fascinates me in not just academic challenges, but the journey pushes me out of my comfort zone and enables me to learn new skills boldly. 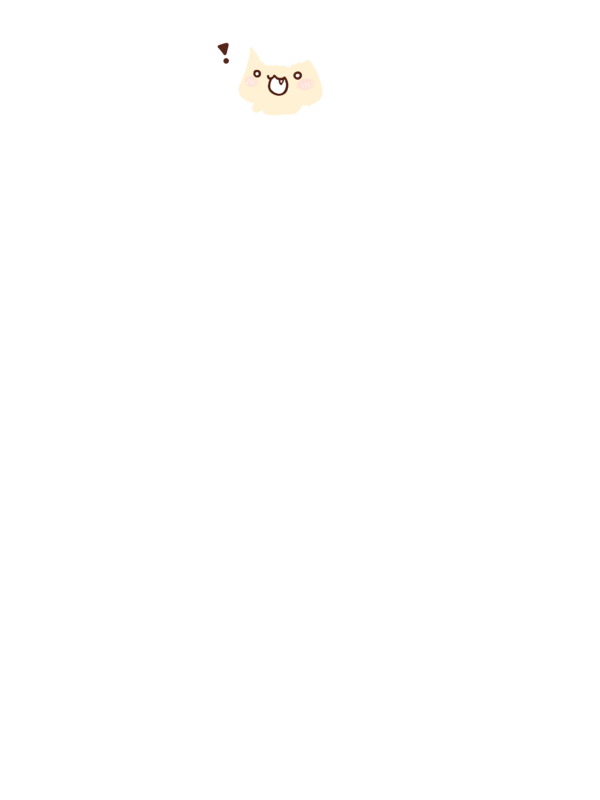 But the most precious treasure of iGEM is its people, every iGEMer. Million thanks to my teammates, advisors, and friends who have given me best support. Without these support I could not achieve so much potentials. Special thanks to my parents, who encouraged me and respect my every decisions. At the end of our journey, we would like to offer our deepest thank to our parents, who had supported us unconditionally since the very beginning of the project.